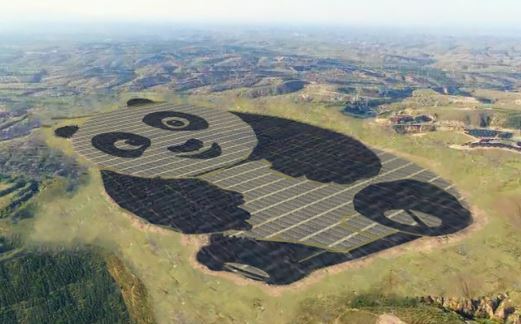 Panda Green Energy announced that the world’s first Panda Power Plant in Datong Shanxi, China was officially connected to the grid. Datong Panda Power Plant has an aggregate install capacity of 100MW, of which the first phase 50MW project was successfully connected to grid. Panda Green Energy launched the innovative project to construct Panda Power Plant in May 2016, and signed a cooperation agreement with the United Nations Development Program on 1 September. In the same year on 20 November, the construction of Datong Panda Power Plant officially commenced. On 14 May this year at the “Belt and Road” Forum for International Cooperation in Beijing, the Panda Power Plant project was incorporated into the Action Plan on Jointly Promoting “Belt and Road” Construction signed by the Chinese government and the United Nations, becoming the important landing projects of China’s “Belt and Road” initiative. Datong Panda Power Plant is the starting point of the Panda Green Energy’s global layout on Panda Power Plant project, which is of great significance to the global green energy application, green concept communication and energy transformation. The panda solar parks are part of an effort to promote sustainable development among China’s young people. A youth activity center at the Panda Power Plant targeted at schoolchildren will detail the benefits of solar power. The 100 MW Panda Power Plants will be able to offer 3.2 billion kilowatt-hours of green power in 25 years saving 1.056 million tons of coal and reducing carbon emissions by 2.74 million tons. In the next five years, Panda Green Energy will carry out the “Panda 100 Program”, build Panda Power Plants along the Belt and Road countries and areas, and bring in the integrated multi-energy green ecological solutions. The black parts of the panda, such as the ears and arms, will be comprised of monocrystalline silicone solar cells, with the grey and white tummy and face composed of thin film solar cells.